With over $1B spent each year on security R&D, Microsoft is the largest global security vendor – and they actively integrate breakthroughs into the products and services you rely on every single day. "Intellinet not only makes Security the nexus for their digital transformation services, but delivers engagements successfully. They are one of the top three Mobility & Security partners worldwide based on customer success and helping drive understanding and usage of the security facets of EMS which is the lynchpin of protection." 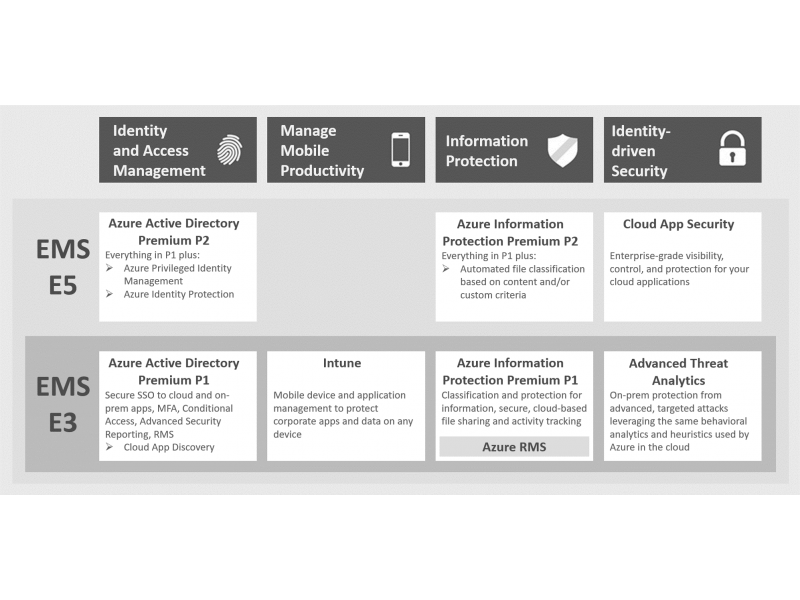 Microsoft Enterprise Mobility & Security (EMS) is a robust suite of products designed to address identity, access management, information protection, and the advanced security intelligence previously provided only by expensive on-prem Security Information and Event Management (SIEM) tools. Many companies find they already own these tools but don’t use them, or don’t know how to make the most of them. Contact us below to understand how EMS can easily transform the security of your environment.